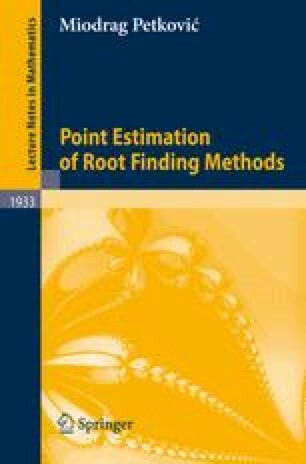 The aim of this chapter is to present the fourth-order families of simultaneous methods for the determination of polynomial (simple or multiple) zeros. These methods are based on Hansen–Patrick’s one-parameter family  with the cubic convergence (Sect. 4.1). First, we present the derivative-free family of methods for the simultaneous approximation of simple zeros and show that the methods of this family have the convergence order equal to 4 (Sect. 4.2). Next, we give computationally verifiable initial conditions that provide the guaranteed convergence and state the convergence theorem. In the second part of this chapter (Sect. 4.3), we study another family of methods that uses derivatives, also based on Hansen–Patrick’s formula. Aside from convergence analysis, we construct families of methods for finding multiple zeros of a polynomial. To demonstrate the convergence speed of the considered families, several numerical examples are included at the end of the chapter (Sect. 4.4).